Affidavit is a written statement confirmed by oath or affirmation. It can be used as an evidence in courts. 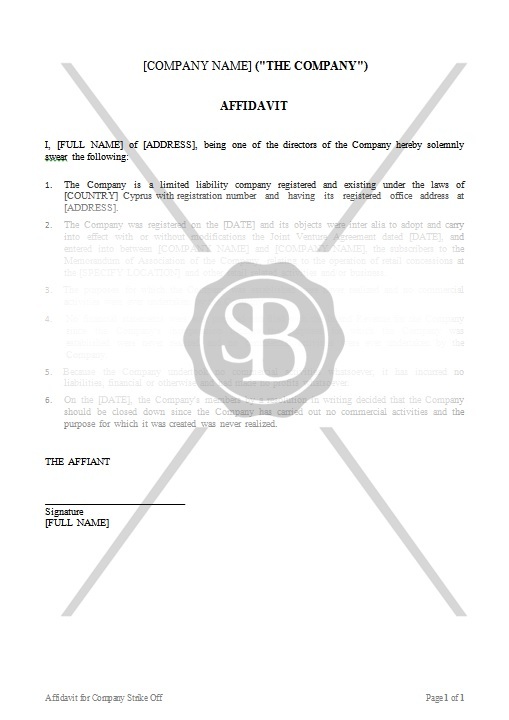 This particular affidavit confirms the strike off of a company.